It truly does not get cuter than this. Everyone knows how incredibly adorable babies are no matter what they do (except maybe when they puke or pee on you, but we're focusing on the positives here). Sleeping babies are especially cute; so cute that you have to resist squeezing their cheeks when they're napping, or risk the hell that is a screeching, cranky baby. But one photographer mom has taken advantage of the fact that her baby girl is just so darn cute. Most moms would "sleep when the baby sleeps." But not Laura Izumikawa. 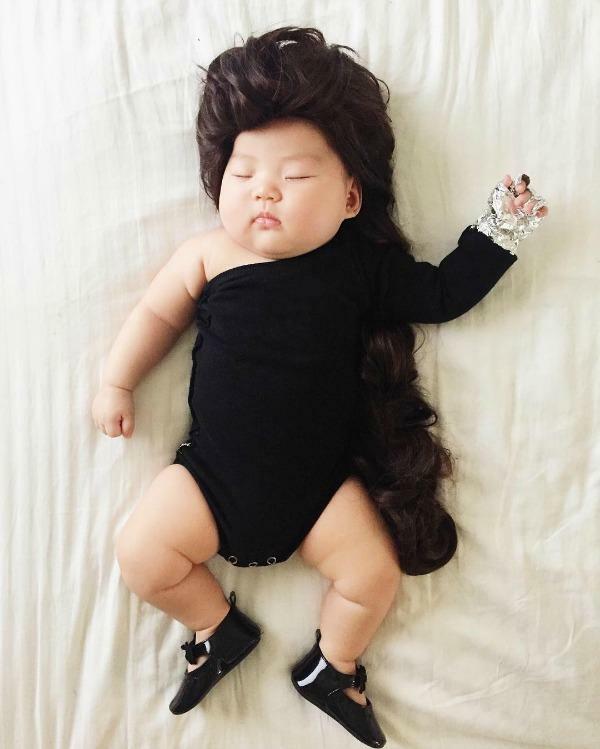 Izumikawa, a photographer from Los Angeles, has been taking photos of her adorable 4-month-old daughter, Joey Marie Choi. But these aren't just your ordinary photos. No, Izumikawa has taken the opportunity to dress up Joey in the cutest costumes. 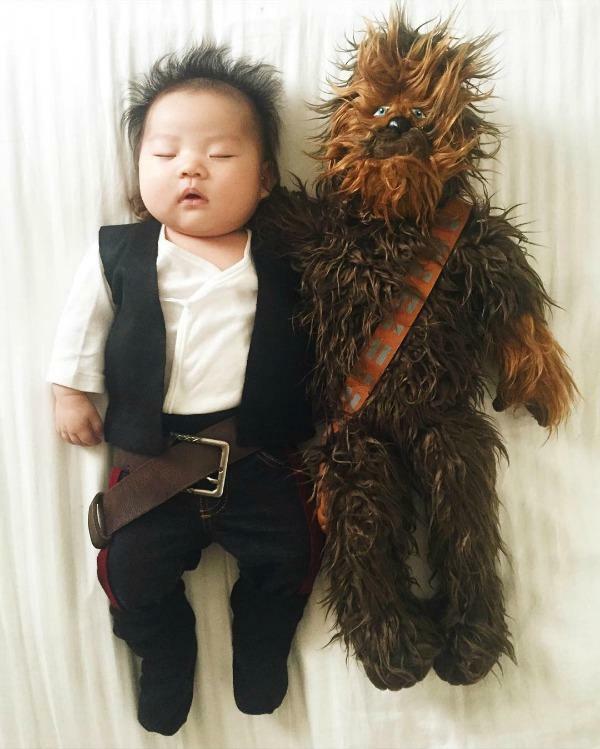 From Beyoncé to Star Wars, baby Joey has worn it all... and she looks absolutely precious! 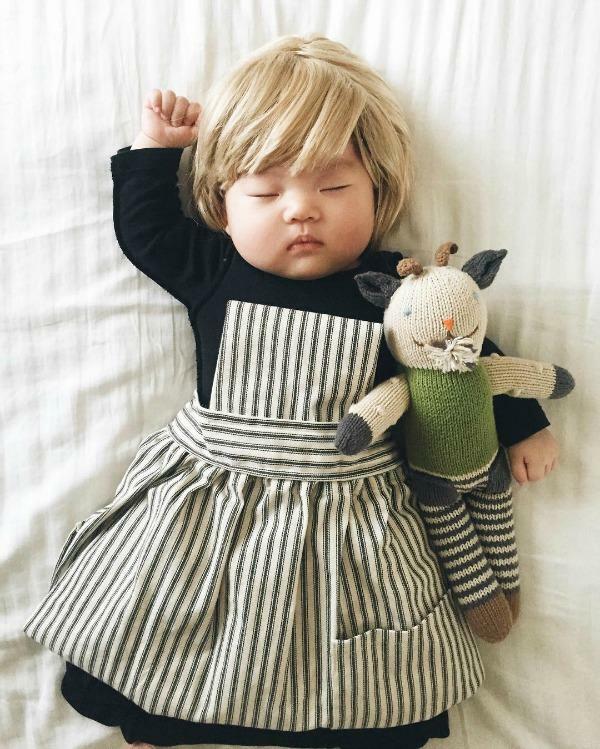 Izumikawa told The Huffington Post that she realized early on that she couldn't sleep while baby Joey slept. She ended up staring at her baby girl because of how truly in love she was. 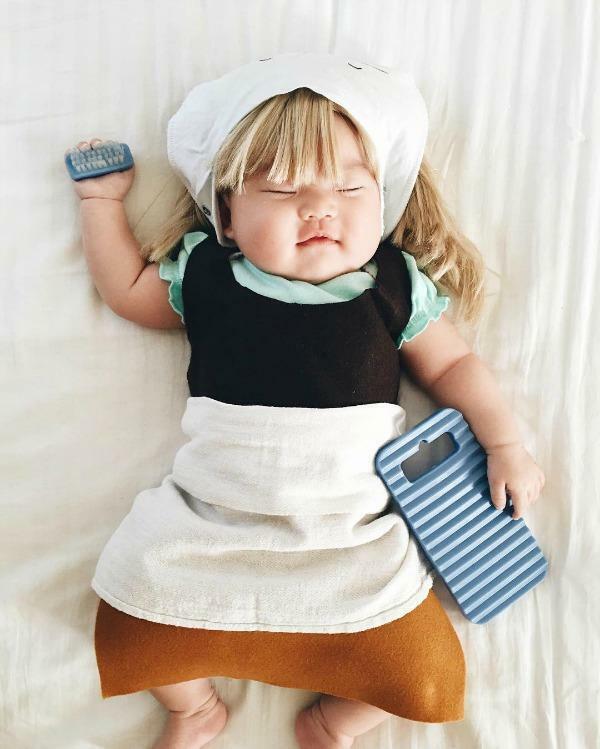 "Because Joey slept so deeply, I thought it'd be fun adding little props on her just to send some hilarious pictures to our parents," she said. "It was a way to memorialize her growth and little milestones." The mom posted these photos to her Instagram, and in no time, she had gained 30,000 followers! 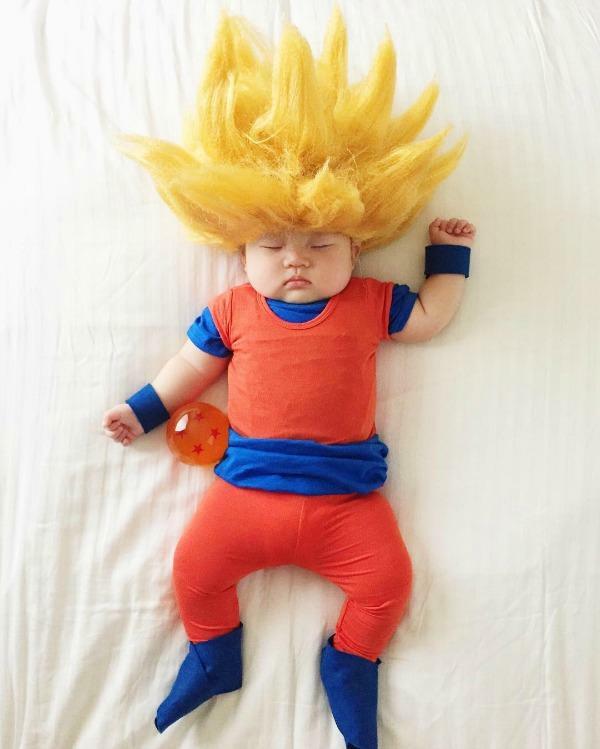 No one could resist a cute baby in costume. Like any mom, Izumikawa was worried at first that this would spell trouble for her precious baby, and considered stopping. "But then I started receiving messages from countless people who said that the photos and videos were the highlight of their day and for some, a thing they enjoy to watch with their kids," she said. We, for one, are glad that she didn't stop. Just look through these photos and see how incredibly cute and truly heartwarming they are. 1. Gather all the single babies! 2. At least she's back before midnight. 3. She's going Super Saiyan. 4. 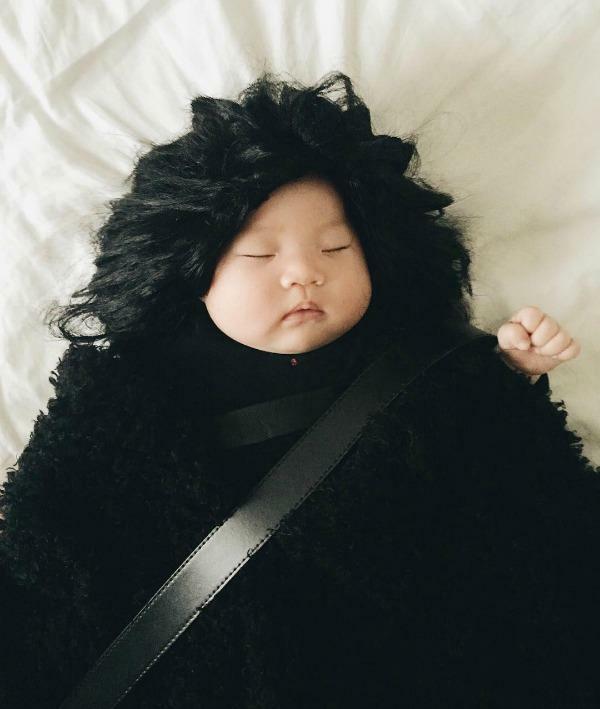 It's the Game of Babies. 5. Chewie, we're home. Time to nap! 6. Rock on all night in dreamland. 7. Look at this baby, isn't she neat? 8. 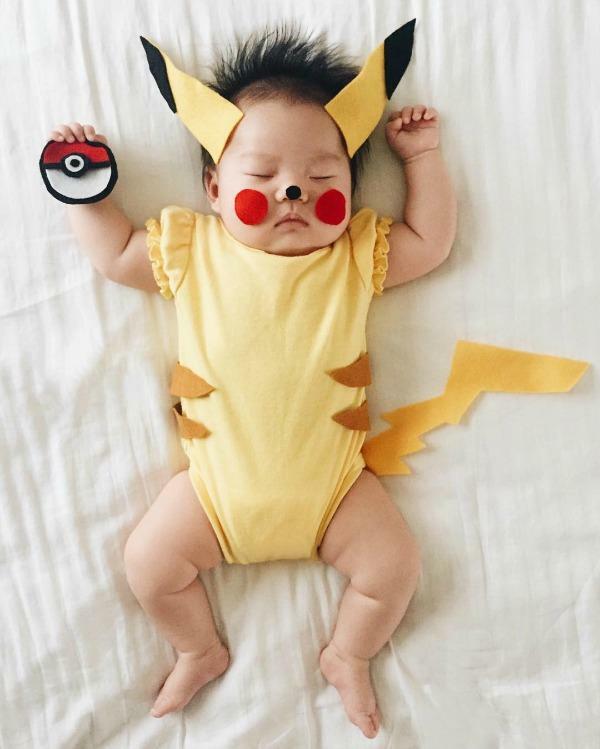 Gotta catch all the cute Pokémon! 9. She's not hanging from a chandelier. 10. The hills are alive with the sound of babies. Check out the rest of the photos on Izumikawa's Instagram.